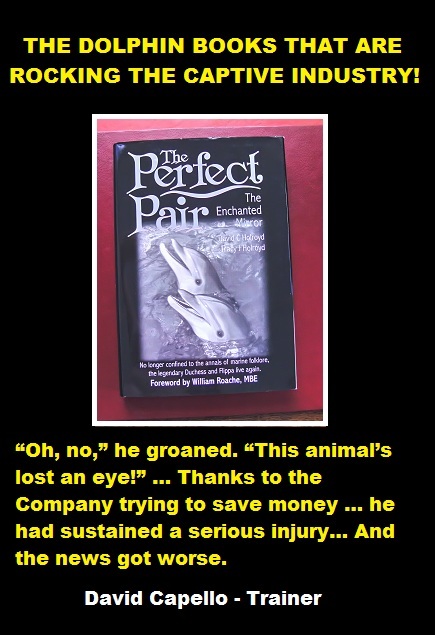 The Perfect Pair Dolphin Trilogy is not a charity, neither does it accept donations. Our purpose is to promote the Dolphin Trilogy expose and to inform the public about the suffering of our world's precious cetaceans. There are literally hundreds – if not thousands – of academic works written about dolphins. This is certainly not one of them, for within these pages dwells a graphic story of the plight of the commercial dolphin - The Perfect Pair Dolphin Trilogy is a damning exposé of the captive cetacean industry. The first book in the trilogy, The Perfect Pair: The Enchanted Mirror (Matador, 2012), is now a core text for the BA(Hons) English Language and Creative Writing course at the University of Salford, and won the Bronze Award in the Wishing Shelf Independent Book Awards 2013. 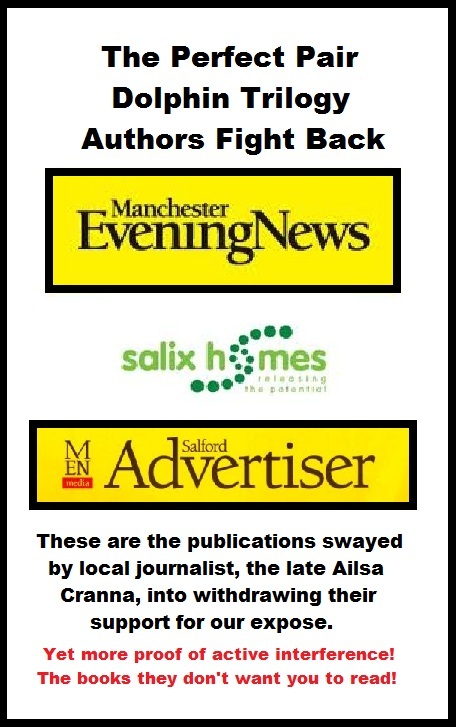 A chapter also won first prize in a prestigious literary competition held by the Manchester Evening News. Celebrity reviewers are already describing the full trilogy as ‘a masterpiece’. It will appeal to those with an interest in the realities of animal training. Like Gabriela Cowperthwaite’s influential 2013 documentary, Blackfish, this story will change people’s perception of captive cetaceans forever. ​"You will never view a dolphin in the same light again." 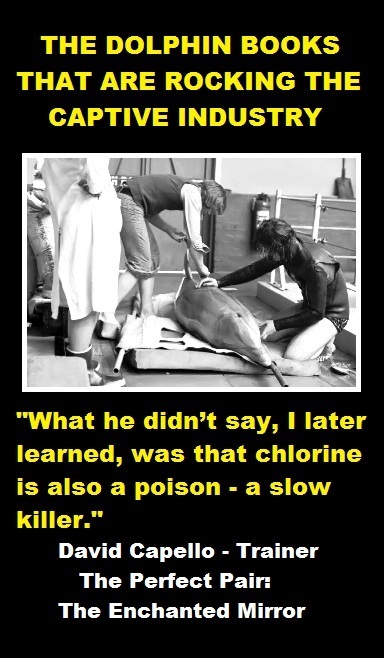 Dolphinariums don’t just break dolphins, they break people, too. An aqua circus training facility, concealed within the boundaries of an English shire village. 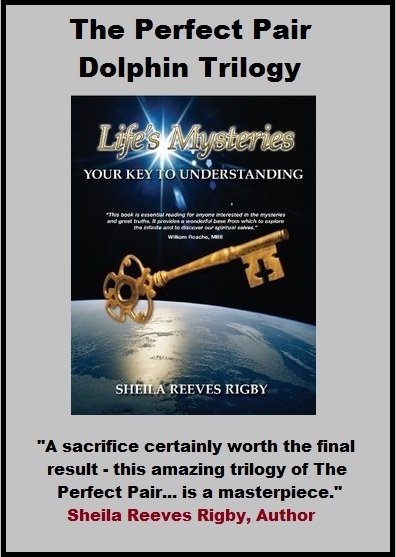 A teenager blessed with a psychic gift and harbouring a dream. The creation of two legendary show dolphins - The Perfect Pair. A dangerous concept for those who control the captive industry, and one that must be destroyed. But how do you destroy the quest for perfection without birthing a fury? ​The first book is a beautiful coming-of-age story that introduces our young trainer and his beloved Atlanteans, Duchess and Herb'e. Like Capello, you will fall under the spell of ​The Enchanted Mirror.